Foreign businesses with a parent company, branch, subsidiary, or affiliate in Canada have the option to bring key employees from overseas to Canada through the Intra-Company Transfer program. Work Permits acquired through this program are exempt from the requirement to obtain a Labour Market Impact Assessment (LMIA). Although LMIA-exempt, workers and employers who utilize the Intra-Company Transfer program must comply with all provisions governing temporary work in Canada, including obtaining a Temporary Resident Visa, if applicable. The Canada Work Permit HR Tool has been designed to help employers navigate the complex process of hiring foreign workers. An employee who primarily directs the management of the enterprise or a major component thereof. An employee who manages all or part of the enterprise and supervises/controls the work of other managers or professional employees. An employee who can demonstrate specialized knowledge of the enterprise's product or service or an advanced level of expertise in the enterprise's processes and procedures. 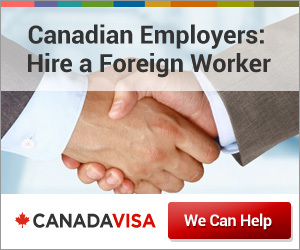 In order for the foreign worker to receive a Work Permit, the Canadian business will have to demonstrate a qualifying relationship with its foreign counterpart, as well as a qualifying relationship with its employee. Foreign businesses wishing to establish a Canadian enterprise may use the Intra-Company Transfer program to bring critical workers to the country for start-up operations. For more information on this option, please click here. To find out if you or your business is eligible to transfer workers to work in Canada through this program, please complete this short form to submit your work permit query directly to our specialists. We will respond with an evaluation of your needs.